Visit our store or click on HOME above to see more amazing furniture! Our retail store, SelecTABLES, has been open since the summer of 2008, and we're excited about it's success. The showroom features custom-built tables by Curtis Martin in many shapes and styles to enhance the beauty of your home. 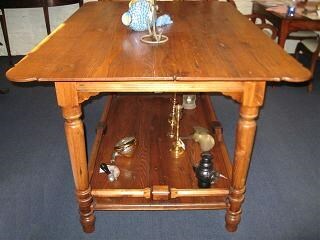 Tables made from beautiful, antique boxes with custom-made bases. Come visit us at our workshop or to get in touch with us via our handy contact form . 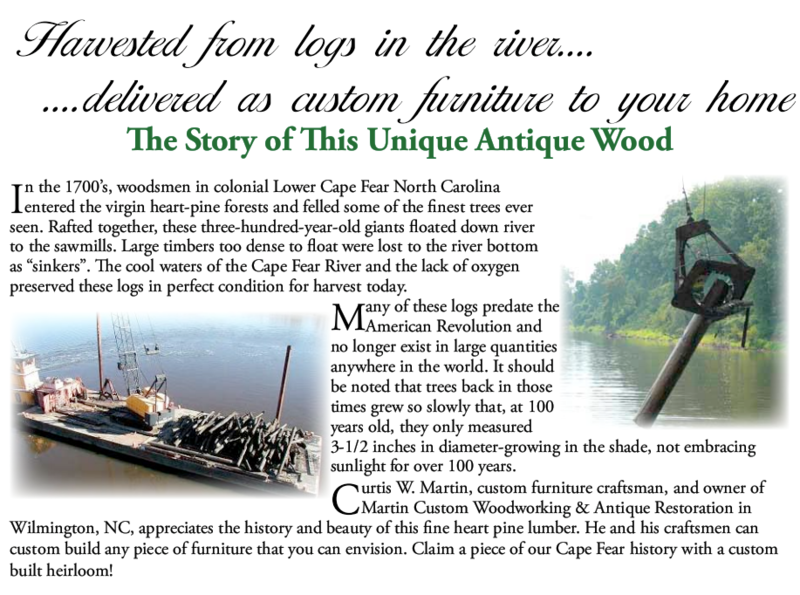 Stop in to say hello and see Curtis' handiwork; we're looking forward to seeing you! 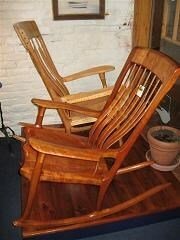 Handcrafted rockers made from curly maple and cherry. 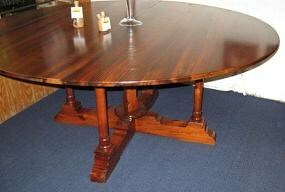 Large circular table made from antique heart pine Riverwood . Demilune table made from solid walnut with exotic veneer accents. We're open from 10:00 am to 5:00 pm from Monday through Saturday. We can also be open by appointment, if needed. Click " Contact Us " above to link to a map and driving directions to SelecTABLES. Island made from wormy chestnut. 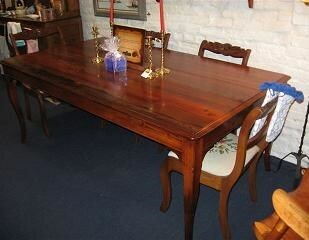 Table made from hand-planed, antique Riverwood. 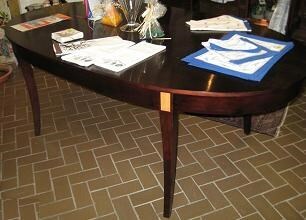 Contemporary table made from cherry with sabre legs and birdseye maple insets. 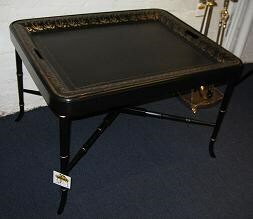 Table made from hand-painted tole tray with custom-made, Curtis Martin base.